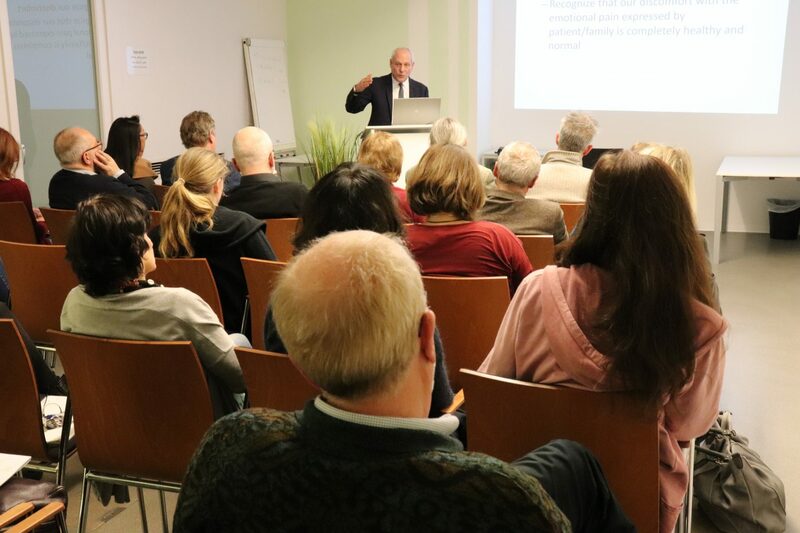 Es hat sich kurzfristig die Gelegenheit ergeben, dass Mitchell M Levy, ein ausgewiesener Experte für Intensivmedizin und achtsame Kommunikation, der Österreichischen Plattform Gesundheitskompetenz (ÖPGK) im Zuge eines Wienaufenthalts für einen Vortrag und Gedankenaustausch zur Verfügung steht. This talk will introduce the use of mindfulness techniques for improving communication with patients and families in conversations about serious illness, and how these techniques can help overcome obstacles that arise from the discomfort associated with dealing with death and grief. We will also discuss the value of enhanced listening skills in fostering dignity and resilience in patients and families faced with complex medical decision-making. is Chief, Division of Critical Care, Pulmonary, and Sleep Medicine, Department of Medicine, The Warren Alpert Medical School of Brown University, where he is Professor of Medicine. He also serves as Medical Director of the Medical ICU at Rhode Island Hospital. He has been an investigator on numerous pharmacologic and biologic trials intended to treat sepsis, cardiovascular and pulmonary pathology. He has expertise in trial design, clinical trial execution and trial management across multiple clinical specialties. 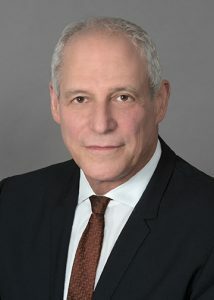 He is the one of the three founding members of the Surviving Sepsis Campaign (SSC) executive committee, as well as the principal investigator and lead author on the performance improvement initiative (Phase III) of the campaign, the goal of which is to facilitate adoption of evidence-based guidelines for sepsis management into clinical practice and reduce mortality in severe sepsis. Dr. Levy is Past-President of the Society of Critical Care Medicine (2009). Dr. Levy’s current research interests include biomarkers in sepsis, end-of-life care in the ICU, and knowledge translation. He has authored over 193 peer-reviewed articles and 23 book chapters. He is the co-director of the Ocean State Clinical Coordinating Center, which manages large, international, multi-center clinical trials in sepsis. Die Teilnahme ist kostenlos, erfordert aber eine verbindliche Anmeldung bis 9. Jänner 2019. 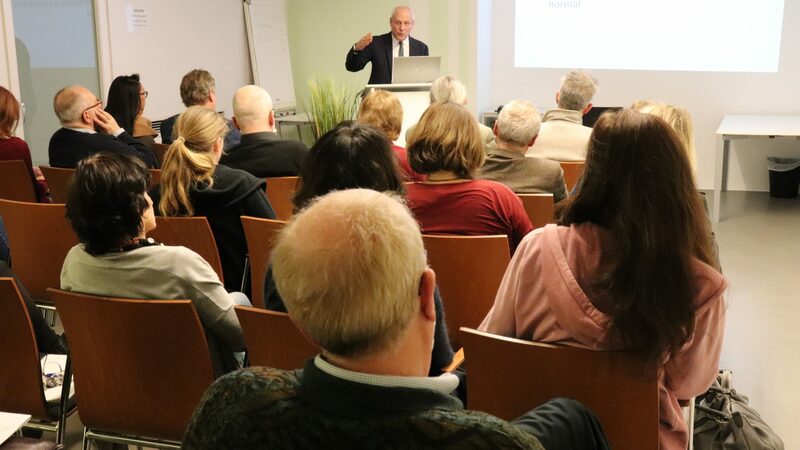 Die Verbesserung der Gesprächsqualität im Gesundheitssystem ist ein Schwerpunkt der ÖPGK.